15 minutes after the conclusion of Saturday morning prelims, the entire facility is closed and will re-open at the times noted below. 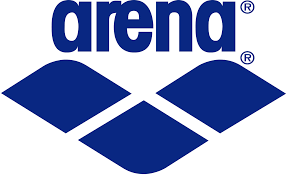 There will be a 10 minute break after event 8 Girls 50 Freestyle, during both trials & finals session, after event 14 Girls 100 Freestyle during preliminaries, & after event 16, Girls 500 Freestyle during finals. No personal items can remain in the spectator gallery or facility and team areas cannot be saved. Seating is first come first serve. Athlete and spectator personal chairs are not permitted on the pool deck, on the balcony’s/walkways or in the lobby. + All team athletes/ managers must be included on the team roster submitted by the entry deadline. + Athletes who qualify for finals must pick up their deck credential BEFORE they leave the preliminary session, the table will be located near the announcer. Athletes must show this credential before being allowed on the pool deck for finals warm-ups. + Athletes who do not qualify for finals will be given deck passes prior to the start of the finals session in the facility lobby/conference room. + Athletes MUST present a photo ID in order to receive a pass/band. Passes/bands will only be given to athletes listed on the roster and only to the athlete who presents a photo ID. + The pass/band must be worn at all times. + Athletes found violating the policy, removing or trying to share the band will be escorted out of the facility. 2015 - Katie Ledecky, Stone Ridge 500 Freestyle 4:26.58 American Record, National High School Record, Pool Record, METROS Record. 2014 - Katie Ledecky, Stone Ridge 500 Freestyle 4:28.71 American Record, National High School Record, Pool Record, METROS Record. 2013 - Jack Conger, Good Counsel 500 Freestle 4:13.87 National High School Record, Pool Record, METROS Record.